This is one of the strangest things I have ever came across of. What's even weird is the fact that it's considered the most costly coffee in the world! 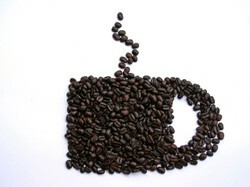 It is no doubt that coffee has come a long way since its discovery several hundred years ago. Its popularity has no signs of slowing down at the rate things are going. It appears that people nowadays don’t look at a cup of coffee only as an energy-boosting beverage every morning but also as a drink that provides many health benefits. From prevention of diseases (e.g. cancer, diabetes) to helping in losing weight, it’s no wonder that it is one of the most widely taken beverages in the world. Take note that these are just SOME benefits of it and there are a lot more to mention and facts to learn. The information that I continue to discover about coffee truly amazes me. I wonder how much the most expensive coffee in the world cost. Let’s find out if it is worth your penny. I refer to the Civet coffee. The coffee beans used to make civet coffee comes from an animal. Surprised? The civet animal is a mammal that has cat-like features that inhabits the forests of Bali, Sulawesi, and Sumatra in Indonesia. In Indonesia, civet coffee is called Kopi Luwak. The term “Kopi” means coffee while “Luwak” is the civet animal in local term. So how does this animal come up with the most expensive coffee beans? It simply defecates! Yes you have read it right. The civet animal defecates the coffee bean that is used to make civet coffee. The animal feeds on coffee berries and digestive process inside the animal’s body exposes the flavour that the civet coffee has. Can I really Drink This? I can’t blame you if this is the first question that pops in your head. Like most people, I also felt strange knowing that Kopi Luwak is made from the excretion of a civet animal. What’s even strange is that civet coffee is considered to be the most expensive coffee in the world knowing that it’s from an animal’s poop! You can say that the civet animal is “choosy” when it comes to the coffee berry that they eat. But this “choosiness” is what we should love about them! To produce one of the best-tasting coffees in the world, it only makes sense that it must come from the best coffee berries, right? The civet only chooses the best and freshest coffee berries and this contributes to its unique taste. Once the coffee bean is ingested, it undergoes digestion. Inside, the enzymes breakdown the protein into amino acids which in turn creates the unique flavor that the civet coffee has. Although the civet ingests the berry, it does not digest the bean and therefore when it defecates it, it still comes out whole! The feces are then collected and processed. Could you imagine if it wasn’t processed? ?Just kidding… The beans after gathered and then washed and sun-dried and after several months of storing are now ready for consumption. It is necessary to store it to decrease the caffeine and acid level. Stop or Ill shoot This gun shaped coffee mug will have you feeling like a real Dirty Harry. Holds up to 12 -ounces of your favorite hot beverage. A great gift for coffee lovers, and recycling buffs. This funny coffee mug looks just like a curbside recycle bin. After all we do just recycle coffee when we drink it! I personally have not yet got the chance to taste the civet coffee. But according to those who claim that they already have say that the civet coffee is very aromatic and leaves your mouth with a minty taste. In addition, the bitterness that a coffee usually has is greatly lessened. If you are an avid coffee lover or just someone who likes to brag to your friends that you have tasted the most expensive coffee in the world then it helps to know that you should at least shell out about $50 for every cup to be able to experience this one of a kind coffee. Civet droppings being very hard to find and the low production of these beans makes this coffee very expensive! Are You Willing To Pay For Civet Coffee? I don't care if they were GIVING IT AWAY! There's no way I'd drink coffee made from animal droppings. Ugh! Nice article though - glad I know not to be enticed if I see this advertised. Being he coffee lover that I am, I'd pay $50 for a cup once, to see what this is about. I wonder where I could try it, since I'm not prepared to pay $500 for a 2.2.pound-bag (got the price from a New York Times article).